We’ve had many ask, “Is he really as good as his picture?” The answer is YES and to prove it, we’ve taken a quick video of Classen in his “workin’ clothes”. If you’d like to add depth of rib, clean up your fronts in one shot while maintaining functionality with a maternal look, Classen is it. 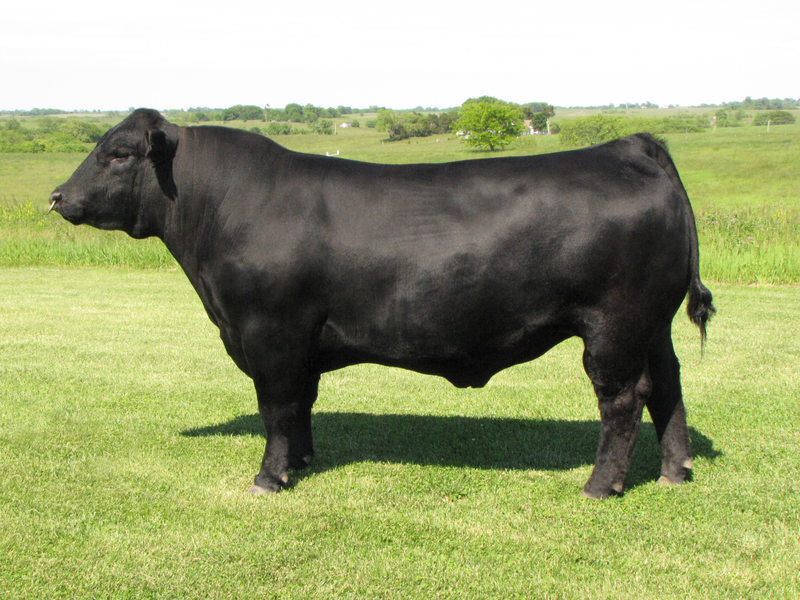 His pedigree combines the best of the Angus and Maine breed with NO Irish Whiskey and NO I-80. His EPDs are exceptional: Top 35% CED, Top 1% for both WW/YW, Top 3% CEM, Top 1% CW and Top 10% MB. Call Rick for details (816) 560-3533.